Three in 10 Americans own a wide array of electronics, according to a poll by Gallup. Thirty-one percent are “super tech adopters” with a broad ownership of major computing and entertainment devices. The survey showed these users owned smartphones, MP3 players, Internet streaming service, tablets, home wireless Internet and more. That many gadgets and electronics may make your life more streamlined with quick access to media and information, but could turn your home into a tangle of cords and wires. Tuck away cords, gadgets, and transform your electronics into a stylish statement with these ideas. Want to create a sunrise indoors? Control the mood in your home from your smartphone by changing the color of your lights and control their dim with the hue wireless lighting system by Phillips. Embrace your inner artist and click a photo from your smartphone. Next, drag hue’s color picker across the image so you can match the color instantly. You can also save your favorite color choices as a scene to use again whether it’s lighting up a single lamp or your entire home. Reimagine your home entertainment area into a modern cinema with the Sony Ultra Short Throw Projector. You won’t need a TV at all. Invite your friends over and watch your favorite movie on a 147-inch image with the kind of clear quality that will make you yawn at HD. 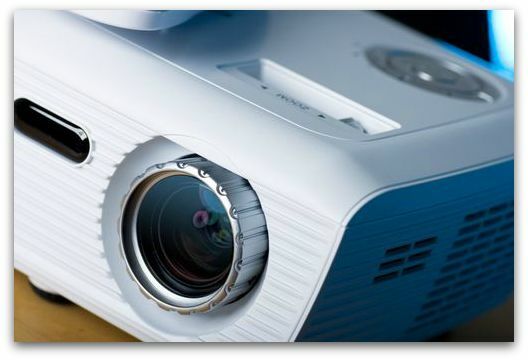 Ideal for even the smallest lofts or apartments, the projector uses the wall to project your shows and movies making worries of storing an oversized screen irrelevant. Already have an ultra thin smart TV hanging on your wall? Dish’s The DIG suggests getting a wallpaper OLED panel to place over your TV for instant wall art. The panel easily peels off like a magnet and is flexible for easy use. You just might want to hang out and stare at your work of art, genius TV hideaway instead of your favorite show. Bring technology to every corner of your home to make the most of your leisure time. The Kohler Moxie Showerhead and Wireless Speaker connects to a smartphone to stream your favorite music right into the shower. Snap the speaker into the shower head with a magnet for easy installation. You can also take the speaker into another room of the house. Snap its magnet onto your fridge and turn your kitchen into a musical oasis while you get cooking. Tuck away cords into a stylish stationery box or basket and place on top of an end table with a vase of flowers for a tranquil place to relax. Cover up utility boxes or mounted eye sores like alarm systems with a canvas painting. If you want to hide away a flat screen TV, you can also use the canvas trick during dinner parties to transform your TV room into a sitting area. And if there’s absolutely nothing you can do about your cords? Embrace them. Add some Wire Bloom Cable Tidy Clips from Amazon and decorate those cords with colorful birds and leaves to turn an eyesore into a work of art. Refinish an old night stand in shabby chic or paint it steel grey for an ultra modern look. Next, drill some holes in the back of the drawer and feed through a power cord to a nearby outlet. Place your laptop, tablet, smartphone, smartwatch and anything else that requires a charge and place it in the drawer. They’re out of sight and out of mind and fully charged when you need them next. Tuck away a wireless router with the help of an old book. Just hollow out the inside, reinforce the spine and hide the router inside. Let the cord and antenna peek out the back, or place an piece of pottery on top to hide anything left showing. For a finishing touch, choose an ornate book with a colorful cover to turn this idea into an accent piece.